The fiction emphasized the woman’s point of view, was often narrated by a woman, and featured as many feminine as masculine detectives. 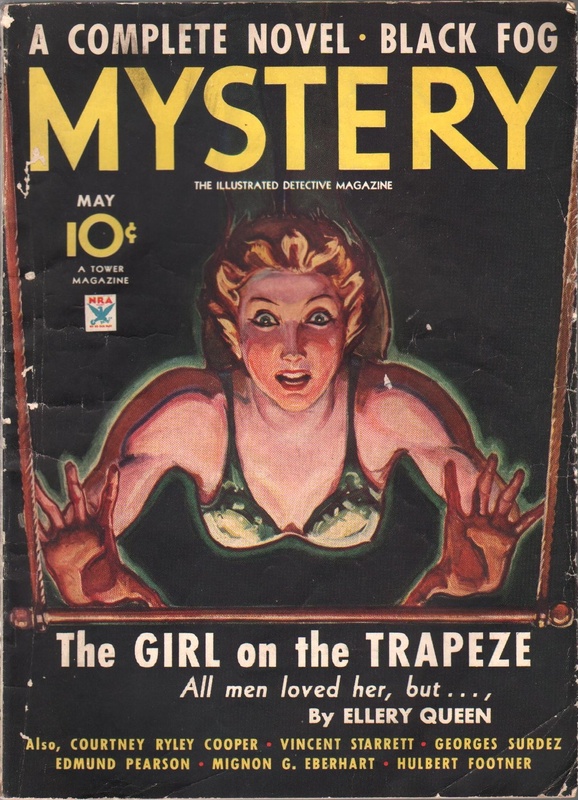 In the rear of the magazine flowered all the usual departments of a more conventional woman’s publication … That this magazine would publish much fiction of interest seems improbable. But without effort, it contrived to be superb…. 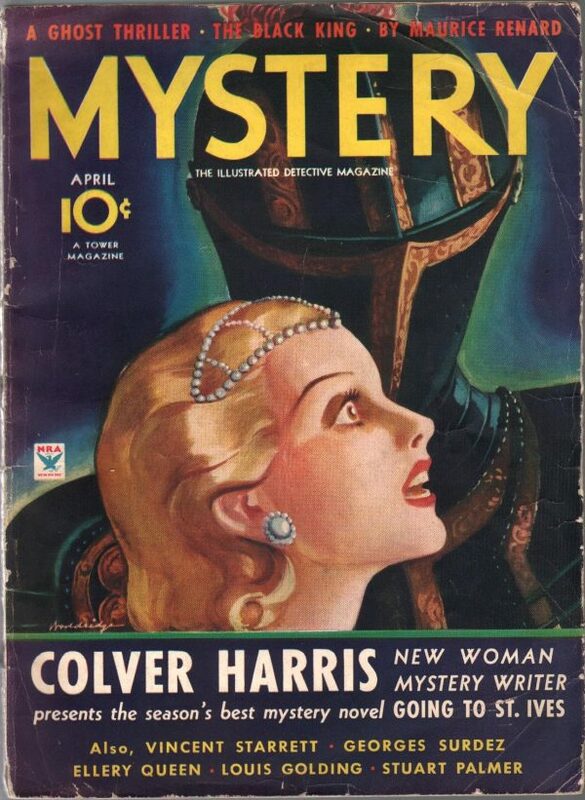 Covers were tasteful, bright, and uneventful, relying heavily on the faces of self-confident women. 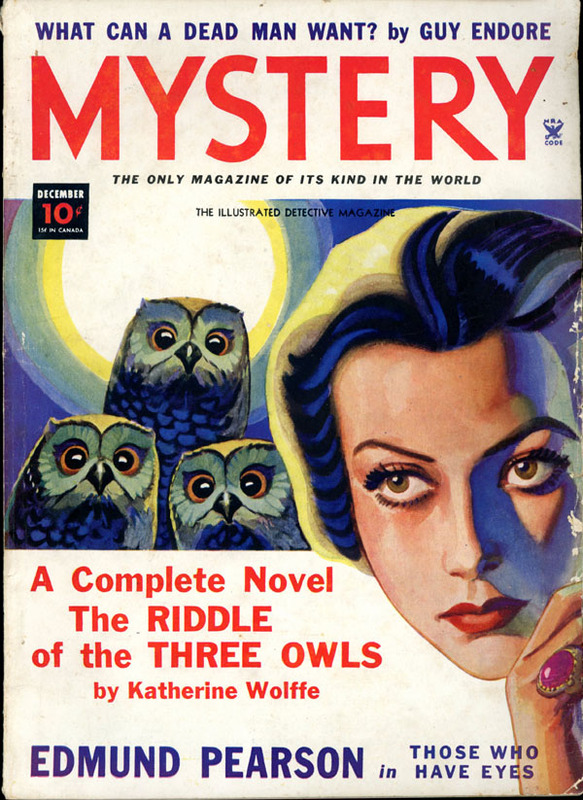 Inside was an astonishing amount of material: eight to ten pieces of fiction, four or more crime-fact articles, and up to ten continuing departments (about half of these slanted directly toward women). 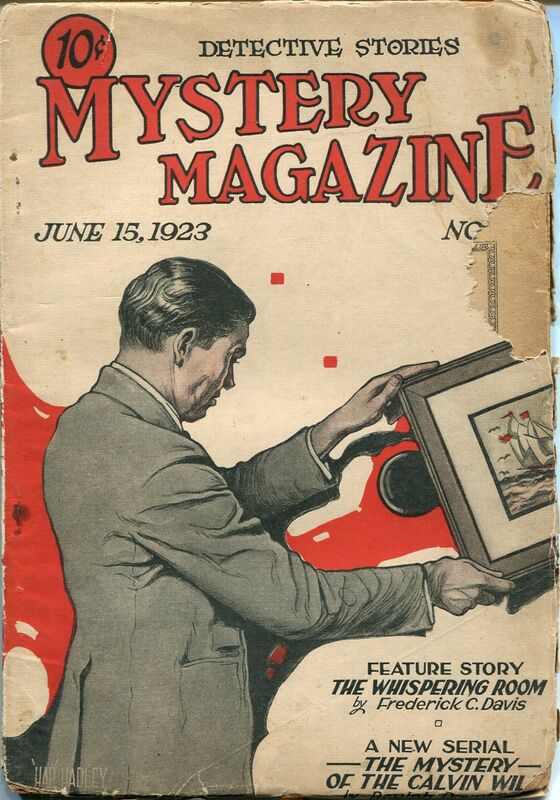 When the magazine was at its peak in the early 1930s, it offered material carefully calculated to appeal to most tastes and both sexes … MYSTERY was as meticulously planned as an orchestral score. Its careful variations played upon every shade of reader interest. It was consciously polished, self-consciously feminine. A curious pared sound rang in its fiction, as if the stories had been edited with a chain saw, but the prose flashed with a bright nickel glitter. 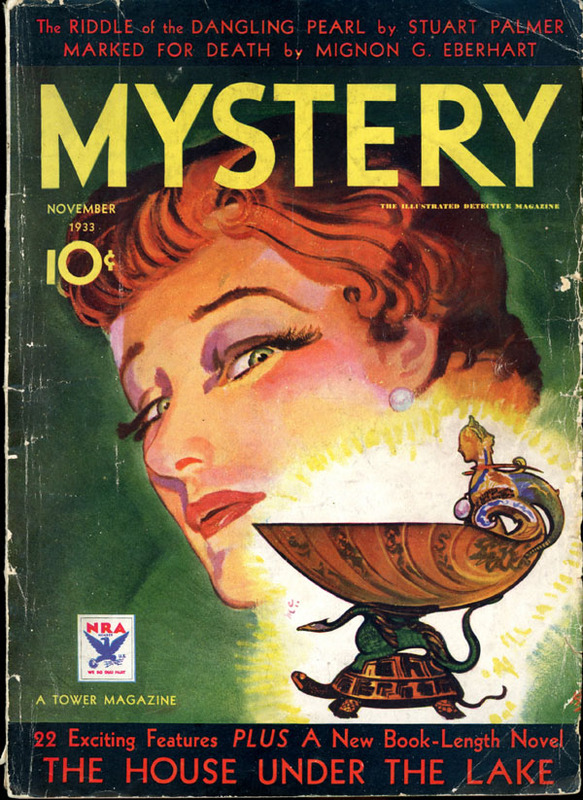 Slick the magazine may have been, and often over illustrated, but it was also considerably interesting and, for years, excellent.